I love discovering and devouring new books! Because my interests are quite varied I am a big fan of going to friends for recommendations. In fact, it was my mother who introduced me to The Hobbit (which coincidentally introduced me to The Lord of the Rings series), a colleague who recommended the works of Faye Kellerman (which coincidentally introduced me to her husband Jonathan’s fantastic series), and my sister who turned me on to Game Of Thrones (which coincidentally introduced me to gloriousness of Kit Harington). 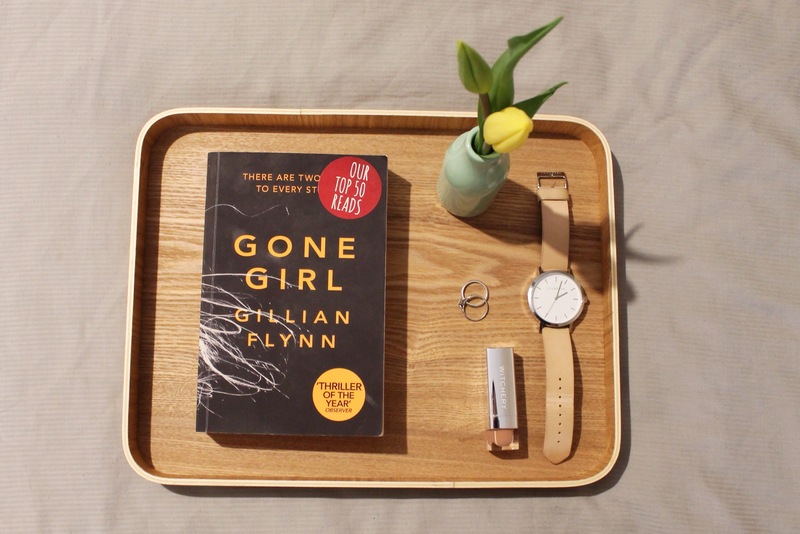 So when two separate friends recommended I read Gone Girl by Gillian Flynn I realised I probably should catch up. I admit I am a little slow to the party in regard to this particular book which is about to be released as a featured film later this year, but I have been finishing off my personal challenge to finish the entire Patricia Cornwell series in one go. Now that I am on to her most recent novel, Dust, I am preparing myself for Gone Girl and am excited by the things I have heard about it. It seems to be the type of book that ticks a lot of boxes for me – a crime/thriller/impossible-to-put-down novel. But I would love to know your thoughts if you have already read it. Is it worth the read? What’s on your list to read next? Thanks for the lovely words Kate! I love what you said about the book because I had heard similar things about the characters, which for some reason intrigues me. I will have to let you know what I think when I finish it.